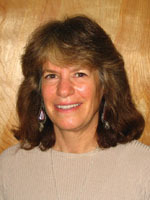 June E. Downing is Professor Emerita of Special Education at California State University, Northridge, and prior to that was at the University of Arizona in Tucson, where she did research and prepared teachers to work in the area of moderate, severe, and multiple disabilities. She is a national leader in the field of special education that targets the needs of students with severe disabilities, especially with regard to inclusive education. She has published numerous articles, chapters, monographs, and seven books on students having severe and multiple disabilities. She served for six years on the Executive Board of TASH, an international advocacy organization for individuals with severe disabilities, and was a past president of the California Chapter of this organization—CalTASH as well as AZTASH. She has served as an associate editor of Research and Practices for Persons With Severe Disabilities and currently serves on this board as well as several other professional editorial boards. She is presently serving as an educational consultant, traveling extensively in the United States and abroad to do presentations on various subjects.